Yay, for annual holiday sparklies... early, because advance knowledge is buying power. Hiya friends! 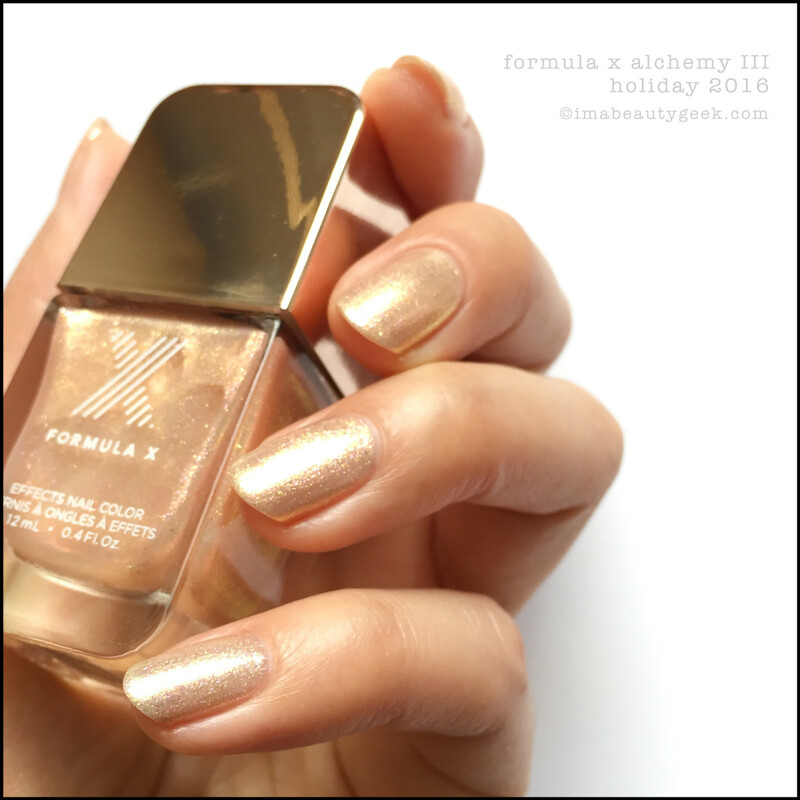 I sneak peek’d Sephora’s Formula X Alchemy III (aka Alchemy 3) a couple weeks ago on the Instagram and while it&apos;s still only fall, I’ve swatched it for you. 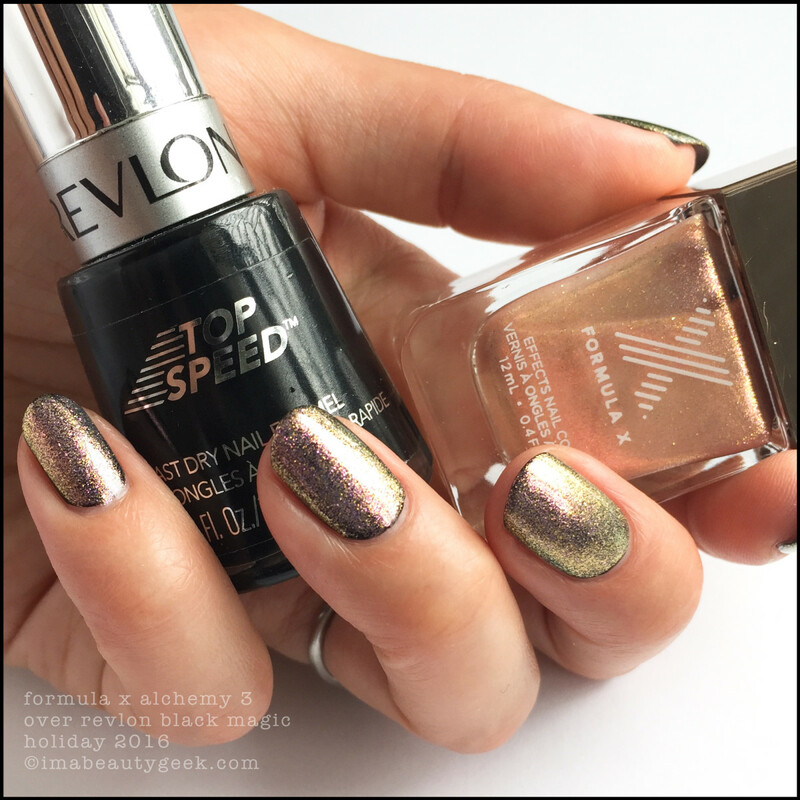 It&apos;s important to know if we need to be stalking the nail counter, right? 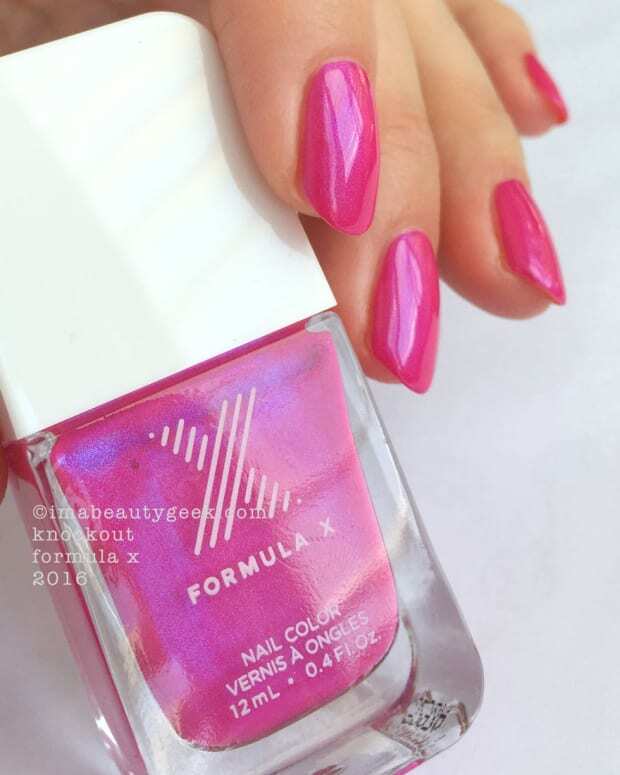 She’s a pretty, warm peachy-rose gold and by herself, she’ll probably take you about four coats to get opaque. I’ve done three here because four coats of anything is too many. 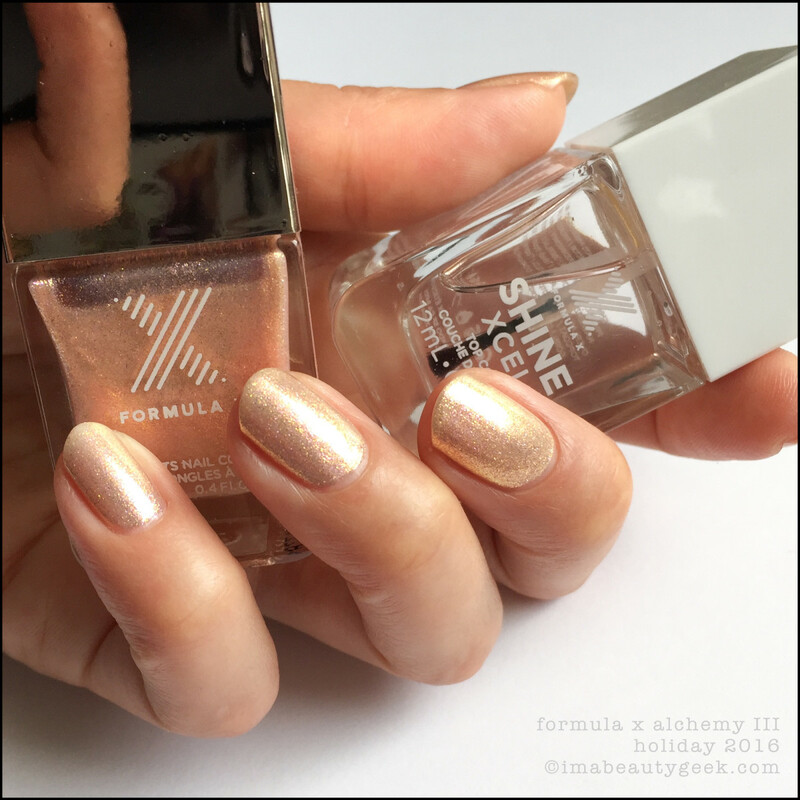 Formula X Alchemy III with Shine Xcel (above). Visible nail lines? Yep, but they’re slight and I’m okay with that because the reflective sparklies take care of most of it. She’s definitely blingy and she’s definitely holiday. But say, Manigeek… what happens if you slap it over black? Well, funny you should ask! Ta da! Yep, one coat of Alchemy III over one coat of my OCW (One Coat Wonder) Revlon Black Magic and there you go. Layering really pulls out the shifty green, gold and pink. Do it because you can. Or don’t. 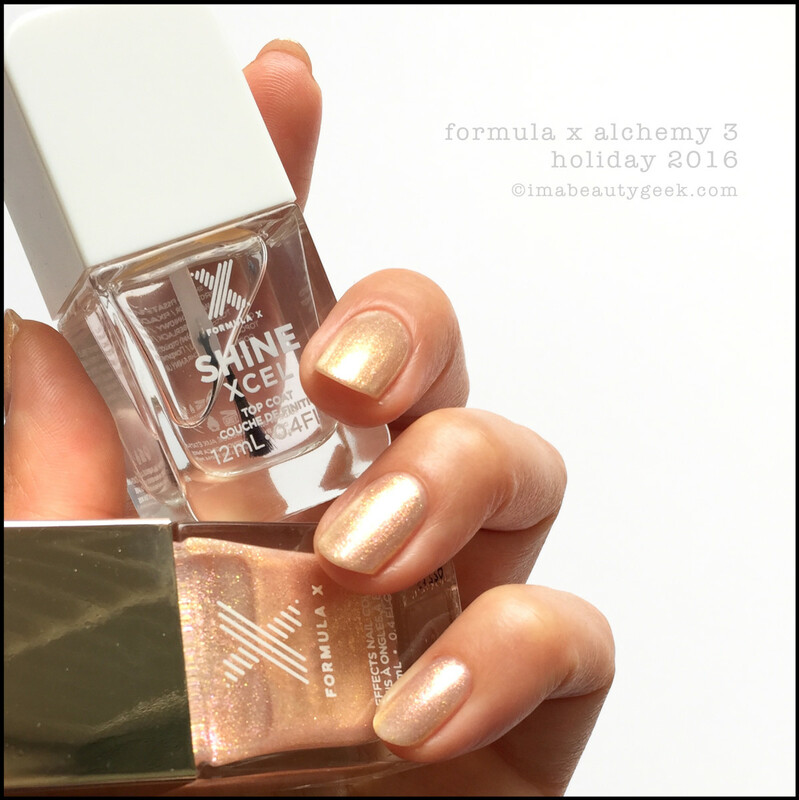 Either way, she’s pretty and if you’re a Formula X Alchemy collector, you need dis! 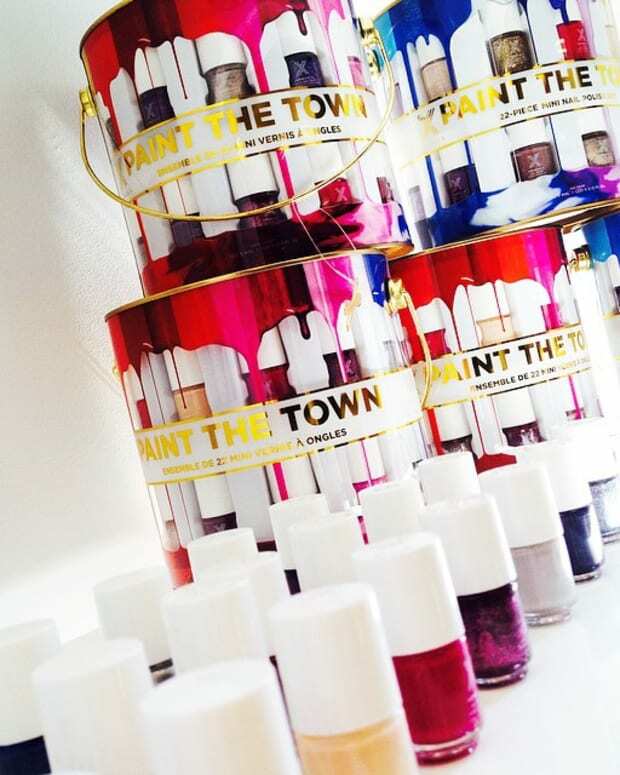 Availability: coming soon (in-store & online) to sephora.ca and sephora.com. Keep your eyes peeled &apos;cause once it’s gone, it’s gone. Manicures & photographs Karen Falcon (she thinks flummoxed might be one of the best words ever).